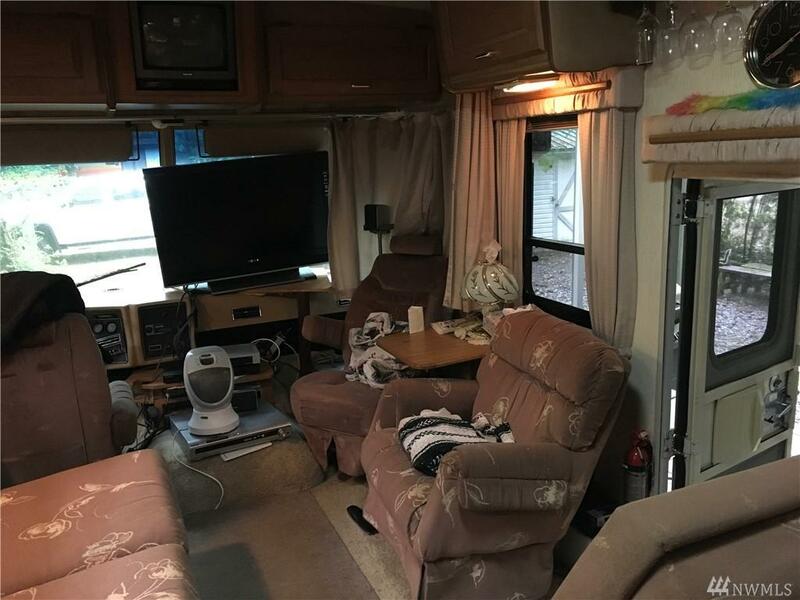 Fully furnished motorhome, add. & b/h w/metal roofs. 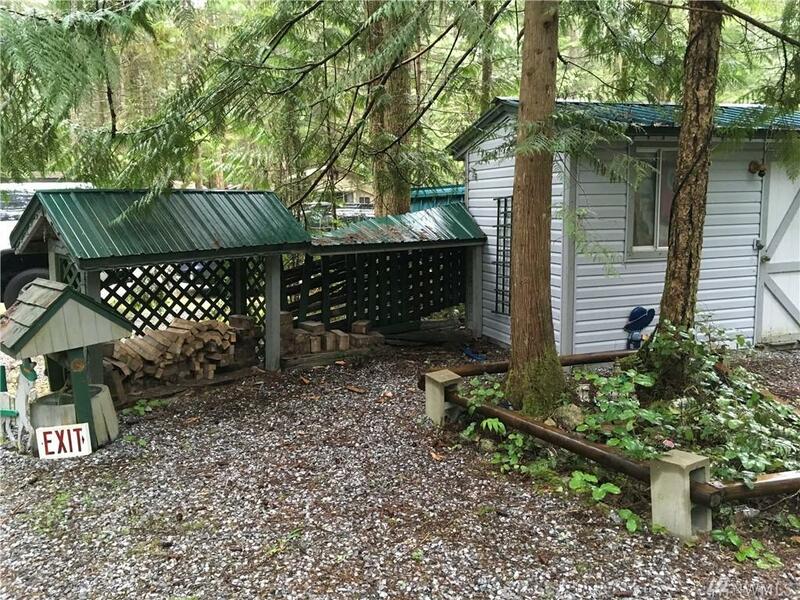 Motorhome w/AC, lots of storage, & metal cov. aux. roof built w/8x8 beams. Add. 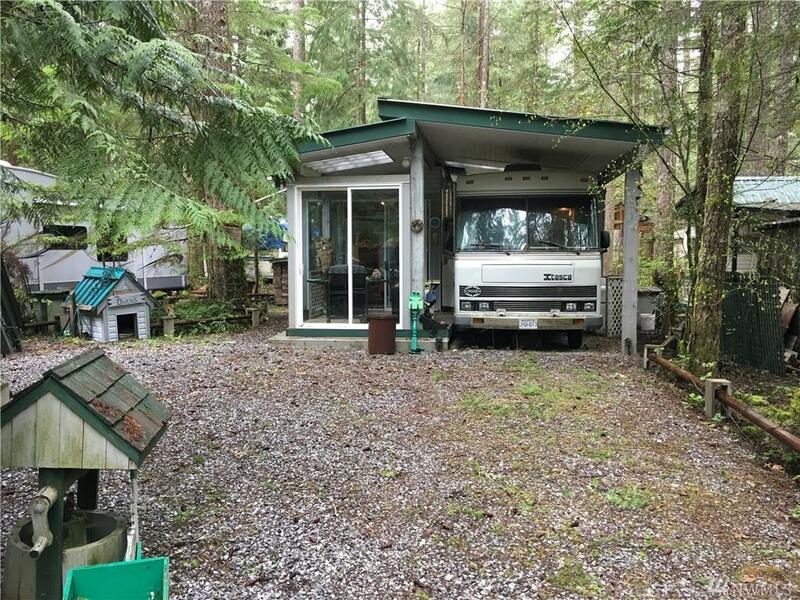 boasts 6x6 constr., h/w floor, woodstove, lots of windows & opens to cov. porch. 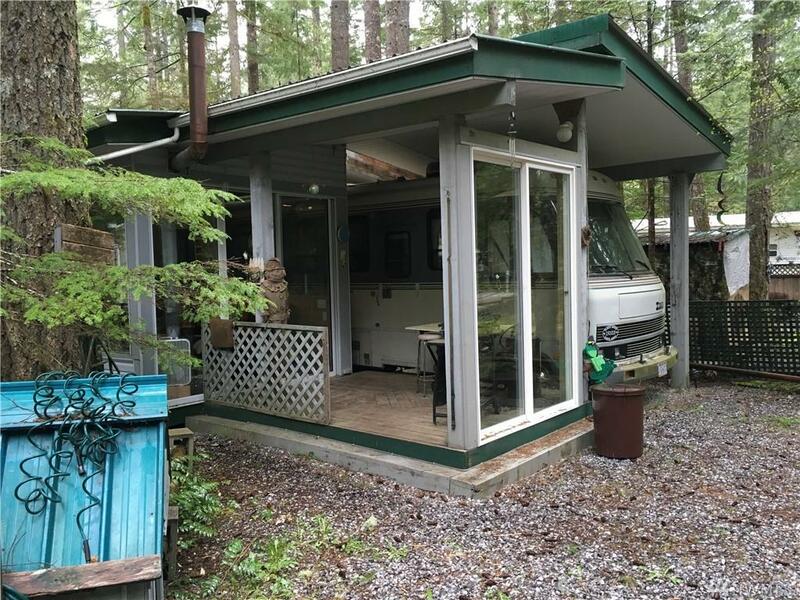 B/h has hanging bunk, 2 sliding doors, cov. deck & large windows for lots of light. Woodstove for firepit. 7x10 shed & 3 woodsheds. Amenities: adult/family pools w/hot tubs, library, laundry, clubhouses, bathrooms & play areas, river access, 24hr security, bike park, tennis courts.